TELEVISION - From TheWrap: Actress Vanessa Marquez, age 49, was shot to death by a South Pasadena, CA police officer on Thursday, August 30, 2018, during a welfare check, after she pulled a BB gun, which reportedly looked like a real fire arm. Marquez had appeared on NBC's medical drama, "ER," from 1994 to 1997. She claimed that she was blacklisted from the show after making accusations of sexual and racial harassment. MOVIES - From Polygon: There is a lesbian slasher film, "What Keeps You Alive." TELEVISION - From Deadline: ABC's "Roseanne" spinoff, "The Conners" starts production. Deadline has a first-look photo. MOVIES - From PageSix: Turner Classic Movies has partnered with the African American Film Critics Association to bring “The Black Experience on Film” to the network for the month of September. MOVIES - From BleedingCool: Damon Herriman will portray Charles Manson for both Quentin Tarantino ("Once Upon a Time in Hollywood") and David Fincher (the Netflix series, "Mindhunter"). STREAMING - From Engadget: The DC Comics streaming service goes live September 15th, 2018 - Batman Day. MOVIES - From YahooMovies: Orson Welles' uncompleted final film, "The Other Side of the Wind," has been completed. It will appear on Netflix in November after debuting at this week's Venice International Film Festival. MOVIES - From ThePlaylist: For the first time in decades, Woody Allen is not officially working on a film project. Allen usually has one filmed released annually, but there are number of complications that have arisen. Some are related to profitability of his films and others to the #MeToo movement. COMICS-FILM - From Variety: Alec Baldwin has signed on to appear in the Todd Phillips/Joaquin Phoenix "Joker" film as Batman's father, Thomas Wayne. RELIGION - From BuzzFeed: "We Saw Nuns Kill Children." This is not a joke! TELEVISION - From IndieWire: John Goodman confirms Roseanne's fate in "The Conners," the spinoff of the "Roseanne" show. MOVIES - From Variety: Guillermo del Toro sets the cast for "Scary Stories to Tell in the Dark," which he is co-writing and co-producing. BOX OFFICE - From BoxOfficeMojo: The winner of the 8/24 to 8/26/2018 weekend box office is "Crazy Rich Asians" with an estimated take of $25 million. The film is a repeat winner, as it won last week's race. From Variety: Marvel's "Ant-Man and the Wasp" leads the global box office with $71 million in grossed in 28 markets, via its $68 million dollar debut in China. JAMES BOND - From TheGuardian: Speculation and rumor suggest that Yann Demange, director of "'71," will take over as director of Bond 25, in the wake of Danny Boyle's departure from the production. TELEVISION - From Variety: Jemele Hill Expected to Part Ways With ESPN, via a buyout by September 1st. From Variety: The legendary playwright, Neil Simon, has died at the age of 91, Sunday, August 26, 2018. Called the "King of Comedy Playwrights," Simon won Tony Awards for "The Odd Couple," "Lost in Yonkers," and "Biloxi Blues," all which were adapted into films via screenplays he wrote. Simon also won the "Pulitzer Prize for Drama" for "Lost in Yonkers." LOS ANGELES--(BUSINESS WIRE)--Amblin Partners announced that it has begun principal photography on “A Dog’s Journey,” the much-anticipated follow-up to 2017’s beloved “A Dog’s Purpose.” Both films are based on the inspirational, best-selling books by award-winning author W. Bruce Cameron. Co-financed and co-produced by Walden Media and Alibaba Pictures, “A Dog’s Journey” reunites Dennis Quaid as Ethan with his cherished dog, Bailey, voiced by Josh Gad—who also returns. Marg Helgenberger, Betty Gilpin, Henry Lau and Kathryn Prescott have joined the film, which is being directed by Gail Mancuso. The screenplay was written by W. Bruce Cameron & Cathryn Michon and Wally Wolodarsky & Maya Forbes. Gavin Polone is producing the film. “A Dog’s Journey” will be distributed by Universal Pictures in the U.S. and select international territories. Published by Forge Books, “A Dog’s Journey” spent weeks on the New York Times Best Sellers list and has been released in 36 countries around the world. Audiences are invited along on “A Dog’s Journey,” the next chapter of the beloved best-selling series by author W. Bruce Cameron. The family film told from the dog’s perspective serves as the much-anticipated follow-up to the soulful story of one devoted dog who finds the meaning of his own existence through the lives of the humans he teaches to laugh and love. Dennis Quaid returns as Ethan and Josh Gad once again voices Bailey. They are joined by newcomers to the series including Marg Helgenberger, Betty Gilpin, Henry Lau and Kathryn Prescott. Directed by Gail Mancuso (TV’s “Modern Family”), “A Dog’s Journey” is once again produced by Gavin Polone (“A Dog’s Purpose,” “Zombieland”). Mancuso directs from an adapted screenplay by Cameron & Cathryn Michon and Wally Wolodarsky & Maya Forbes, based on the book by Cameron. The film from Amblin Entertainment, Walden Media and Alibaba Pictures will be distributed by Universal Pictures. Alibaba Pictures and Amblin Partners have a comprehensive strategic partnership to co-produce and finance films for global and Chinese audiences, as well as collaborate on the marketing, distribution and merchandising of Amblin Partners films in China. PORTLAND, OR— Gotham Academy creators Brenden Fletcher and Karl Kerschl, with colorist MSASSYK and letterer Aditya Bidikar, will release ISOLA, VOL. 1 this October from Image Comics. 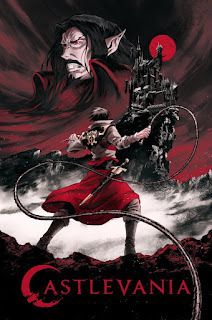 San Francisco, CA – VIZ Media, LLC (VIZ Media), a premier company in the fields of publishing, animation distribution, and global entertainment licensing, expands its catalog with the acquisition of Season 1 of CASTLEVANIA. VIZ Media has worked with Frederator Studios and Frederator Networks to license publishing titles based on popular properties from the company’s catalogs including BRAVEST WARRIORS, the acclaimed animated series from Pendleton Ward, the visionary creator of the Emmy Award-winning Cartoon Network show, Adventure Time. VIZ Media also published EASY EATS: A BEE AND PUPPYCAT COOKBOOK, inspired by the hit animated web series, Bee and PuppyCat, which was produced by Frederator Studios and seen widely on Frederator Network's Cartoon Hangover web channel. Frederator Studios makes cartoons for television, movies, and the Internet. 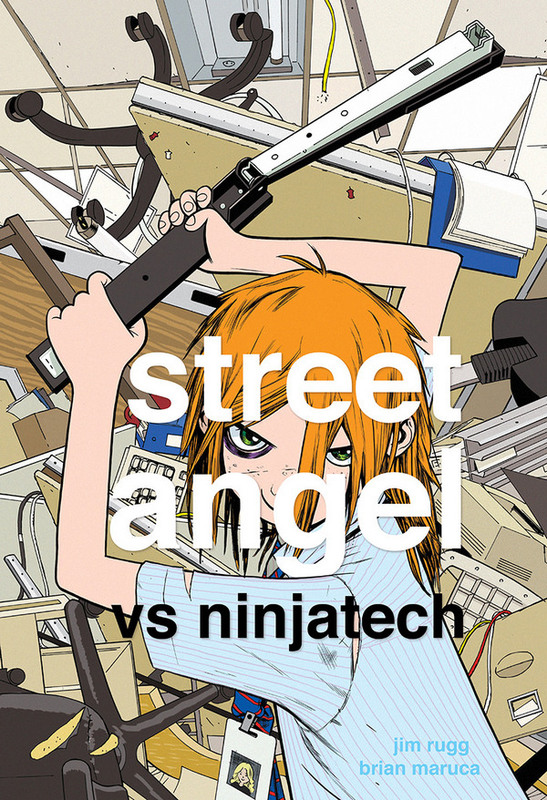 It was founded by serial media entrepreneur and former Hanna-Barbera president Fred Seibert in 1998 as a unique incubator for big animation ideas by producing original cartoons. More than 250 short films have resulted in 17 hit series for television and the Internet, including Bee and PuppyCat, Butch Hartman's The Fairly OddParents on Nickelodeon, and Pendleton Ward's Adventure Time on Cartoon Network. Frederator Digital programs many online channels including Channel Frederator, Cartoon Hangover, and The Leaderboard, as well as manages the Channel Frederator Network (YouTube-based entertainment multi-channel network). Launched in late 2012, Frederator’s Cartoon Hangover channel includes Bee and PuppyCat, Bravest Warriors, as well as many new shorts from the world's future animation superstars. Frederator’s Cartoon Hangover Select, a subscription video-on-demand channel, is exclusive to Ellation's VRV platform. WOW Unlimited Media Inc. is creating a leading next-generation kids and youth animation business by focusing on digital platforms and content. The company's key assets include: the world’s #1 digital animation network (Frederator Networks), one of Canada's largest, multi-faceted animation production studios (Rainmaker Entertainment), one of the most successful U.S.-based independent animation production companies of the past 20 years (Frederator Studios) and multiple owned and operated VOD channels on digital platforms, including its latest launch of Cartoon Hangover Select on Ellation Media's VRV platform. Bell Media is the company’s strategic partner. The company operates out of offices in Toronto, New York, Vancouver and Los Angeles, and is listed on the TSX Venture Exchange (TSX-V: WOW.A and WOW.B). 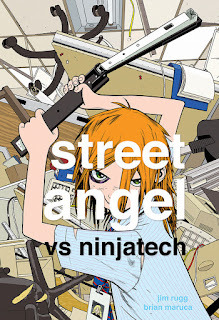 Image Comics Announces the Return of Street Angel to Face "Ninja 6000"
PORTLAND, OR — The Eisner Award-winning team of Jim Rugg (Afrodisiac, The Plain Janes) and Brian Maruca (Afrodisiac) will release STREET ANGEL VS NINJATECH—a brand-new tale starring your favorite homeless heroine, Jesse Sanchez—this November from Image Comics. BURBANK, Calif.--(BUSINESS WIRE)--Ten years ago, Christopher Nolan’s groundbreaking blockbuster “The Dark Knight” was released. Commemorating the 10-year anniversary, Warner Bros. Pictures is bringing the film to four select IMAX® locations for an exclusive, one-week engagement, beginning Friday, August 24, 2018. The announcement was made by Jeff Goldstein, President, Domestic Distribution, Warner Bros. Pictures. The exclusive limited engagement will offer the public an extremely rare opportunity to see “The Dark Knight” on the biggest screens possible, as it was intended to be seen—in IMAX 70mm film—offering a uniquely immersive cinematic experience. Tickets for the opening day went on sale Friday, July 20th, with showtimes only announced for August 24th. The theatres will list additional showtimes for subsequent dates closer to release. “The Dark Knight” stars Christian Bale in the title role and Heath Ledger, who won an Oscar for his performance as The Joker. The ensemble cast also includes Michael Caine, Gary Oldman, Aaron Eckhart, Maggie Gyllenhaal, and Morgan Freeman. Nolan directed “The Dark Knight” from a screenplay written by Jonathan Nolan and Christopher Nolan, story by Christopher Nolan & David S. Goyer. Emma Thomas, Charles Roven and Christopher Nolan produced the film. Benjamin Melniker, Michael E. Uslan, Kevin De La Noy and Thomas Tull served as executive producers. Warner Bros. Pictures presents, in association with Legendary Pictures, a Syncopy Production, a Christopher Nolan film. “The Dark Knight” is based upon characters appearing in comic books published by DC Comics. Batman was created by Bob Kane. The film is being re-released by Warner Bros. Pictures, a Warner Bros. Entertainment Company. It was rated PG-13 for intense sequences of violence and some menace. BREAKING - From ABCNews: Senator John McCain has died at the age of 81, Saturday, August 25, 2018. A seven-term Republican senator from Arizona, he was a prisoner of war during the Vietnam War, from 1967 to 1973. TELEVISION - From BleedingCool: ABC Studios is developing a reboots of the classic TV sitcom, "Bewitched" (1964 to 1972), this time starring an "interracial" couple. JAMES BOND - From BleedingCool: Rumors about why Danny Boyle departed as director of "Bond 25." STREAMING - From TheGuardian: An article about Stephen Maing's Hulu documentary, "Crime+Punishment," about a group of minority NYPD officers who took on the illegal quota system. MOVIES - From Deadline: Lena Dunham is among new cast added to Quentin Tarantino's "Once Upon a Time in Hollywood." From TheWrap: Mike Moh will play legendary movie star, Bruce Lee, in "Once Upon a Time in Hollywood." Article contains a link to a fine interview with the author of the biography, "Bruce Lee: A Life." CULTURE - From Deadline: Revered Chinese -American actor, James Hong, speaks on his career on on the success of "Crazy Rich Asians." Wong never thought it would take this long. COMICS-STREAMING - From Deadline: Brendan Fraser will star as "Robotman" in "Doom Patrol," for the streaming service, "DC Universe." TELEVISION - From Deadline: This coming TV season, the 2018-19 season, will be "The Big Bang Theory's" 12th and final season. The popular CBS comedy will end its record-setting run in May 2019. MOVIES - From Collider: Peter Jackson's World War I documentary is entitled "They Shall Not Grow Old," and it will premiere October 16th at the 2018 BFI London Film Festival. JAMES BOND - From Deadline: Oscar-winning director Danny Boyle is out as director of the 25th James Bond film, which is due in U.S. theaters in Nov. 2019. AWARDS - From TheWrap: 2018 MTV VMA winners list. From Deadline: TNT has ordered a talk show pilot from its "Claws" star, Niecy Nash. BOX OFFICE - From BoxOfficeMojo: The winner of the 8/17 to 8/19/2018 weekend box office is "Crazy Rich Asians" with an estimated take of $25.2 million and also an estimated $34 million over its five days in release. SCANDAL - From YahooNews: #MeToo figure and Harvey Weinstein accuser, Asia Argento, apparently paid off a male teen who accused Argento of sexually assaulting him. From THR: Veteran entertainment journalist, Robin Leach, has died at the age of 76, Friday, August 24, 2018. Leach was best known as the host of the syndicated TV series, "Lifestyles of the Rich and Famous" (1984-1995). From Variety and TVLine: Film and television producer, Craig Zadan, has died at the age of 69, Tuesday, August 20, 2018. Zadan and his partner Neil Meron produced ABC's Academy Awards telecast from 2013 to 2016. He produced the original "Footloose" (1984), among several films. He produced NBC's recent string of live musicals, beginning with 2013's "The Sound of Music Live!" up to this year's "Jesus Christ Superstar Live in Concert." From BBC: Former United Nations secretary-general Kofi Annan, has died at the age of 80, Saturday, August 18, 2018. In 2001, Annan, born in the African nation of Ghana, won the Nobel Peace Prize for his humanitarian work. From Patreon: Leroy's "Solo" review is here. From YouTube: The official trailer for "Solo:A Star Wars Story." From YouTube: The first official teaser from "Solo: A Star Wars Story." From BleedingCool: Marvel Comics will publish an adaptation of "Solo," and a new five-issue miniseries that examines Han's time as a... Stormtrooper? It is entitled "Star Wars: Han Solo - Imperial Cadet." From WeGotThisCovered: Disney responds to disappointing opening for "Solo." From WeGotThisCovered: Director Ron Howard talks about the soft box office opening for "Solo." From YahooEntertainment: A list of "Solo" "Easter Eggs." From ComicBookMovie: Meet Erin Kellyman who plays "Enfys Nest" in "Solo"
From YahooEntertainment: Yahoo has "Entertainment Tonight's" full video interview with director "Solo" director Ron Howard. REVIEW - From Vulture: "Solo: A Star Wars Story Hits All Its Marks — Except for the Most Important One"
From TMZ: Original Han chats up new Han Solo and director Ron Hward. From YahooEntertainment: After it's premiere, strong buzz for "Solo." From YahooHuffPost: Mark Hamill may have let slip that C-3PO will appear in "Solo." From EW: Ron Howards says George Lucas changed a scene in "Solo." From YahooEntertainment: Donald Glover, Lando Calrissian in "Solo," gives fans a tour of his Millennium Falcon in this video clip. From Variety: "Solo" tracking for a $170 Memorial Day weekend opening. From YahooSports: Ron Howard participates in Day 3 of the 2018 NFL Draft. From MovieWeb: Alden Ehrenreich, Han Solo in "Solo," has a three-movie deal to appear as Solo. From BleedingCool: A new set of "Solo" character posters have arrived - 9 in all. From YahooEntertainment: Director Ron Howard offers proof that his brother, Clint Howard, is in "Solo." From WeGotThisCovered: Ron Howard says that test audiences love "Solo." From Variety: "Solo" will premiere in May at the Cannes Film Festival. From YahooVulture: An unnamed actor talks to Vulture about the trouble production of "Solo," including the problems the film's original directors, Phil Lord and Chris Miller, had. From WeGotThisCovered: Has the villain of "Solo: A Star Wars Story" been revealed? From BleedingCool: See the new international poster for "Solo: A Star Wars Story"
From WeGotThisCovered: A "Solo" news blowout. From SlashFilm: Actor and director Jon Favreau will provide the voice for an "important alien" in "Solo." From Vulture: Why do some Star Wars fans want "Solo" to flop. From TheWrap: George Lucas stopped by the "Solo" set and ended up directing a scene. From WeGotThisCovered: Ron Howard speaks about why he took the gig directing the troubled production now known as "Solo: A Star Wars Story." From Collider: The first "Solo" trailer will debut next week during ABC's morning news show, "Good Morning America." From BleedingCool: We may get a "Solo" trailer during this Sunday's Super Bowl LII (52). From THR: "Solo" seems to be the most under wraps Star Wars movie yet. From StarWars: The official synopsis for "Solo" has been posted at the Star Wars webstie. From WeGotThisCovered: The first teaser trailer for "Solo" is rumored to arrive Friday, Jan. 12th, 2018 during ABC's "Good Morning America." From WeGotThisCovered: "Solo" Lego toy sets revealed. From EW: Entertainment Weekly has all the photos director Ron Howard posted from the set of "Solo." From DigitalSpy: Christian Bale says he was in talks to appear in "Solo" as a mentor character to Han Solo back when Phil Lord and Chris Miller were still the film's directors. From io9: John Williams will compose the theme for "Solo." Williams has composed the musical score for all eight mainline "Star Wars" films. John Powell will write the rest the score for "Solo." From BleedingCool: There is a rumor that Disney is prepared for its young Han Solo movie, "Solo: A Star Wars Story," to bomb. AUSTIN, Texas--(BUSINESS WIRE)--Austin Film Festival (AFF), the premier film festival recognizing writers’ and filmmakers’ contributions to film, television, and new media, announced today the first wave of films to be included in their 2018 program taking place October 25 to November 1, 2018, including Boy Erased, Can You Ever Forgive Me?, and Cannes Palme D’or winner Shoplifters. World Premieres include The Black String, Fishbowl, Speaking in Tongues, and Fathers of Football. As part of its retrospective series, AFF will screen Roger Corman’s Rock All Night, presented by Robert Rodriguez and Corman himself, Extraordinary Contribution to Filmmaking honoree. Austin Film Festival (AFF) is a non-profit organization dedicated to furthering the art, craft and business of writers and filmmakers, recognizing their contributions to film, television and new media. AFF is supported in part by the Cultural Arts Division of the City of Austin Economic Development Department and the Texas Commission on the Arts. All attendees and events are based on permitting schedules and are subject to change and/or cancellation without notice. To apply for press credentials, please complete this form. Badges and passes are available for purchase at www.austinfilmfestival.com or by phone at 1-800-310-FEST. NEW YORK--(BUSINESS WIRE)--HarperCollins Publishers announced today it has acquired world rights for COLD STORAGE, the debut novel by David Koepp, the celebrated screenwriter of such legendary films as Jurassic Park, Mission: Impossible, Spider-Man, and Panic Room. The two-book deal was negotiated by Zachary Wagman, Executive Editor at Ecco, an imprint of HarperCollins, with Creative Arts Agency on behalf of Koepp. COLD STORAGE will be published by Ecco in the US and by HQ in the UK and Australia. It will also be published directly by HarperCollins in Brazil, France, Germany, Holland, Italy, Japan, Portugal, Sweden, and in the Spanish language in Spain and the Americas. COLD STORAGE is about Roberto Diaz, a national security expert who helps contain a deadly, contagious organism to a secure government facility. Thirty-two years later, he must help two unwitting storage unit security guards quarantine it yet again—before its gruesome effects become irreversible. “I am so thrilled to be working with David Koepp. I’ve been a fan of his cinematic talents for years, from Jurassic Park to Panic Room (not to mention The Paper and Death Becomes Her). To see those same skills applied to his first novel is nothing short of extraordinary. It’s such a vivid and addictive reading experience, full of action and pathos, as well as subtle and effective touches of humor,” said Zachary Wagman. “What I love is the sheer propulsive force of the storytelling and the ease with which he establishes his characters,” said Daniel Halpern, publisher of Ecco. The film rights to COLD STORAGE were acquired by Paramount Pictures, with Koepp and Gavin Polone set to produce. Koepp will be writing the screenplay as well. David Koepp is a celebrated American screenwriter and director best known for his work on Jurassic Park, Spider-Man, War of the Worlds, Indiana Jones and the Kingdom of the Crystal Skull, and Mission: Impossible. His work on screen has grossed over $6 billion worldwide. About HarperCollins HarperCollins Publishers is the second largest consumer book publisher in the world, with operations in 18 countries. With two hundred years of history and more than 120 branded imprints around the world, HarperCollins publishes approximately 10,000 new books every year in 17 languages, and has a print and digital catalog of more than 200,000 titles. Writing across dozens of genres, HarperCollins authors include winners of the Nobel Prize, the Pulitzer Prize, the National Book Award, the Newbery and Caldecott Medals and the Man Booker Prize. HarperCollins, headquartered in New York, is a subsidiary of News Corp (Nasdaq: NWS, NWSA; ASX: NWS, NWSLV) and can be visited online at corporate.HC.com.